An apparently hard-hitting report, highlighting the many failings of the 'London Inter-Bank Offered Rate' ('LIBOR'), has now been made public. The introduction of a new regulatory structure for LIBOR, to include criminal sanctions for those who attempt to manipulate it. The removal of the LIBOR governance role from the British Bankers' Association (BBA). The inviting of other groups to apply to take over the LIBOR governance role, and to conduct regular audits and propose a new code of conduct. The encouragement of more banks to submit LIBOR rates to make it more representative. A modification in some of the technical data upon which LIBOR has previously been fixed. The holding back from public disclosure of some of LIBOR data for three months, to prevent manipulation. At this point, readers of this Blog are reminded that Mr. Wheatley is talking about (what is almost universally-accepted to be) a fundamentally- corrupt system for making mountains of money that a bunch of previously- deaf, dumb and blind, UK financial regulators, and their political masters, have allowed to exist unchallenged for many years, in which a mysterious, variable figure, LIBOR (based on unverified and, therefore, potentially-false, 'estimated data' supplied by, a few previously-unaccountable junior bankers who had been offered substantial financial inducements, 'bonuses,' by a few previously-unaccountable senior bankers, to lie), has been decided each day in London by a few more previously- unaccountable senior bankers, and then used to rig the price of a whole range of ongoing financial transactions around the world. These international, LIBOR-polluted transactions total an estimated $US 800 000 000 000 000 dollars (i.e. 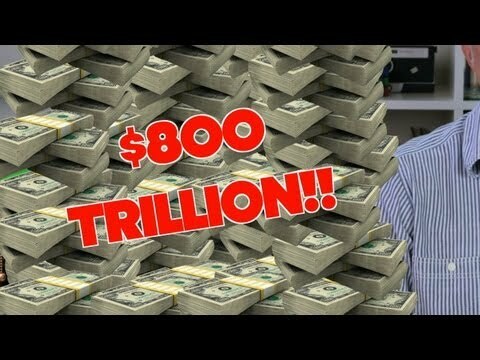 eight hundred trillions United States dollars) and the LIBOR-rate is known to have been deliberately falsified on literally hundreds of separate occasions. No matter what they have recently steadfastly pretended to be reality, there is absolutely no way that the bosses of the various banks concerned could have been unaware that these monumental criminal acts were being committed by their subordinates. As ever, I am not at all surprised by the apparent incapacity of senior UK regulators, and their political masters, to grasp how major organized crime functions, because, legalistically, at the present time, no such crime as racketeering exists in Britain. That said, Mr. Wheatley worked for the London Stock Exchange for 18 years, 6 of which were spent on its board where he achieved the post of Deputy Chief Executive. During this period, he was closely involved with the controversial, failed merger of the London Stock Exchange and its German equivalent, Deutsche Borse. Mr. Wheatley also sat on the Listing Authority Advisory Committee of the UK Financial Services Authority. However, he was made redundant in February 2004. Mr. Wheatley then joined the Hong Kong Securities and Futures Commission as its Executive Director for Market Supervision. In 2006, Mr. Wheatley became Chief Executive Officer of the HKSFC, where he was noted for directing a rigorous campaign (including successful criminal prosecutions) against insider traders. However, following the collapse of Lehmann Bros., the HKSFC accepted more than HK$6.5bn (US$835m) in investor compensation from 20 banks and brokers who were seeking to settle criminal allegations of mis-selling Lehman-related products. Mr. Wheatley announced his resignation from the HKSFC at the end of 2010. His total final payment in that capacity for 2010, was HK$9.09 millions (approximately US$1.2 millions). Mr. Wheatley is also a member of the Financial Stability Board Standing Committee on Standards Implementation, as well as the International Organization of Securities Commissions (IOSCO) Technical Committee. Mr. Wheatley has chaired the IOSCO Technical Committee Task Force on Short Selling. The spokesman also failed to mention that SFO lawyers/investigators often have a severe conflict of interest; for no common-sense rule exists which prevents them from leaving law enforcement to take much-more highly-paid jobs in the private sector. It was also unofficially disclosed that the SFO abandoned its previously-secret plans to investigate the 'LIBOR rate-fixing' scandal in September 2011, mainly for 'budgetary reasons.' 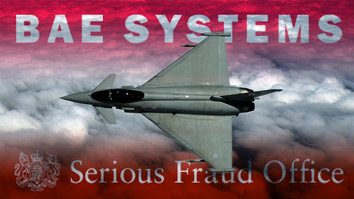 Whilst a previous Director of the SFO was recently reprimanded by senior UK High Court Judges for bowing to external pressure and unlawfully taking it upon himself to drop a high-profile fraud, and corruption, case (concerning criminal activities dating back to the 1980s) resulting in the waste of huge amounts of tax-payers' cash. Sadly, the wider track record of the UK SFO has been even more farcical . Now this comic-book narrative of honest SFO heroes locked in a never-ending struggle with dishonest villains (although particularly badly-written), can appear (at first glance) to be perfectly laudable, until you begin to compare it to the adult world of quantifiable reality (i.e. the actual performance figures of the SFO). That said, it is interesting to note that senior SFO officials don't actually claim to be protecting society, only aiming to protect society. Unfortunately, they don't appear to be very good shots. The SFO's own annual reports reveal that an expensive rampart, apparently built to enforce the criminal law and hold back an invasion of fraud and corruption, has been the legalistic equivalent of the Maginot Line. For a vast, mobile and much-better- financed army of racketeers (escorted by mercenary lawyers), has simply danced round the sedentary line of dunces with law diplomas entrenched at the SFO, as though it wasn't there. In the case of the ongoing, multi-billion dollar 'MLM/Amway income opportunity' fraud, the invaders actually hired former, SFO Deputy Director, Peter Kiernan, to guide them, and I have no doubt that banksters have already recruited similar law enforcement traitors from the amoral ranks of the legal profession. During the period 2011-2012, the SFO cost British tax-payers about £37 millions whilst the organization added 35 millions pages to its collection of 112 millions electronic documents. During the same period, although agents of the SFO apparently received more than 500 tip-offs, it only prosecuted 20 cases and managed to recover around £50 millions of assets stolen by means of fraud. Of this pathetic figure, virtually nothing went back to the victims. In reality, although around £2 billions of fraud was reported to UK law enforcement agencies in 2011, no one can evaluate for certain the true level of fraud going unreported. Indeed until 2006, no agency of government even bothered to try. Currently, the best available estimates (from the UK Fraud Authority) are that, during the past several years, at least £50 billions ( that's fifty thousand millions pounds) has been stolen annually from the British economy by means of fraud. However, this still- rapidly-expanding figure has not yet included the titanic 'LIBOR rate-fixing,' or 'MLM income opportunity,' frauds. Thus, when presented as a percentage of the overall damage being caused by fraud in Britain, the UK SFO's quantifiable contribution to law enforcement (i.e. its approximately 0.001% annual recovery rate), has been so insignificant that it is not even worth the mental effort to calculate. The SFO's own annual reports have, in fact, been nothing more than an open-invitation to criminals; for these glossy brochures clearly advertise the alarming fact that if you commit a serious fraud in Britain, the chances of being held fully to account, have been effectively-zero. In the light of all these facts, what exactly did he mean, when Chief Secretary to the UK Treasury, Danny Alexander MP (b. 1972), said (apparently, fully-awake, sober and in all seriousness) that he was delighted to hear that the SFO will be launching an investigation of the 'LIBOR rate-fixing' scandal? 'Lyoness' has exhibited the universal identifying characteristics of a cult. Anyone with an ounce of common sense can immediately deduce that the absurd financial fairy story, entitled 'Lyoness,' which its author has peddled as reality, is far too good to be true. However, various free-thinking contributors to 'KMoney' have also pointed out that 'Lyoness' is not just a simple fraud. the comic-book role of ordinary man turned superman. 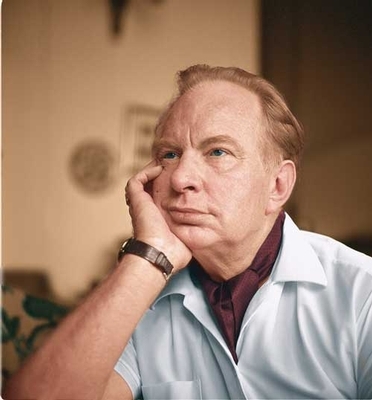 L. Ron Hubbard playing the comic-book role of ordinary man turned superman. It is no exaggeration to say that, due to the amount of money it has already unlawfully generated, the 'Lyoness' lie represents an ongoing threat to democracy and the rule of law. Hubert Freidl, an otherwise mediocre little parasite, should have long-since been recognised as yet another narcissistic racketeer (exactly like L. Ron Hubbard) peddling an illusion of Utopia (built from its victims' money), and all of his stolen wealth confiscated. History teaches us that the more capital deluded charlatans like Hubert Freidl and L. Ron Hubbard, unlawfully acquire: the more dissociated from external reality they (and their deluded core-adherents) can become, whilst the more difficult it becomes to hold them fully to account for their crimes. Who hasn’t heard about cults? The word, ‘cult,’ has been thrown around so often that most of us now take it for granted that we must know exactly what it means. To be honest, very few people have sought out sufficient background material to be able to form the lucid picture of cultism contained in the essential identifying characteristics presented in this booklet. Even the most-diligent news reports have tended to examine individual cultic groups in close-up, leaving the wider phenomenon either out of shot or out of focus. However, in recent years, it has become a matter of public record that, as a result of unprotected exposure to one of an ever-growing and evolving catalogue of apparently diverse and innocent groups, almost anyone can begin to exhibit remarkably uniform symptoms. In everyday terms, it is as though they’ve fallen head over heels in love. Although this initial euphoria is often short-lived, a significant minority will subsequently undergo a nightmarish transformation and recklessly dissipate all their mental, and/or physical, and/or financial, resources to the benefit of some hitherto unknown person(s), whom they continue to trust and follow no matter what suffering this entails. 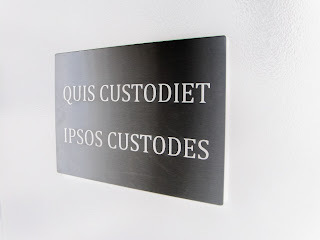 Only when enough victims of one of these latter-day ‘Pied-Pipers’ wind up in psychiatric hospitals or on mortuary slabs is the word, ‘cult,’ liberally applied by the popular press. It is then always revealed that there had been some timely attempt(s) to warn the authorities, but they couldn’t intervene, because, legalistically, cultism does not exist. That said, all cosmopolitan people readily accept that cults most-certainly do exist, but, due to the prevalent style of media coverage, we habitually think of them only as remote, and grotesque, freak-shows. Young children’s unconscious acceptance of ‘Santa Claus’ as total reality, stems from a fictitious scenario reflected as fact by the traditional culture in which they live. Up to a certain age, children are not equipped to challenge the model of reality offered to them by authoritarian figures within their family groups; particularly, their parents. Therefore, once children have been converted to a self-gratifying, non-rational belief in ‘Santa,’ the truth (that they are actually being deceived by the people whom they instinctively trust and follow) is unthinkable. The scenario can then be expanded to modify children’s behaviour — ‘Santa’ has magical powers… he can see and hear everything they do at all times… he will reward them for unquestioning belief and punish them for dissent. Only when they attain the necessary level of intellectual/psychological development, can children begin to use their critical and evaluative faculties and come to realise that ‘Santa’ is merely a game of make believe. If you think about it, what I’ve just described is the most elementary form of self-perpetuating, non-rational/esoteric, ritual belief system - perfectly tailored to fit infantile minds, and reliant on the maintenance of an absolute monopoly of information presented using a constant repetition of reality-inverting key words and images combined with pseudo-scientific mystification and closed-logic. Prior to publication, a number of people were given unfinished copies of this booklet to appraise. Although no reader could refute its content, the reactions of a minority were split into two groups; these were as different as chalk and cheese. Those who had already survived a direct personal experience of cultism devoured it. Others, who had never knowingly encountered the phenomenon, found the booklet less easy to digest; they generally described its tone as ‘alarmist.’ One man (a middle-aged, American academic) was sure that it had been written by a naïve soul who had suddenly discovered the world to be a cruel place, and who now wanted to shout about it. Several years ago, when I was naïve, I might have agreed with him. In fact, I now blush when I remember a conversation I once had with a senior citizen of the Czech republic (a survivor of rule by the ‘Nazi’ and ‘Soviet’ myths), in which I coolly dismissed his passionate contention that any country whose own citizens mistakenly believed themselves to be immune to totalitarianism, faced the greatest risk of from it. Today, in the light of a traumatic personal encounter in Europe with the large, American-based cultic group known as 'Amway,' I have come to understand that I could not have been more wrong. 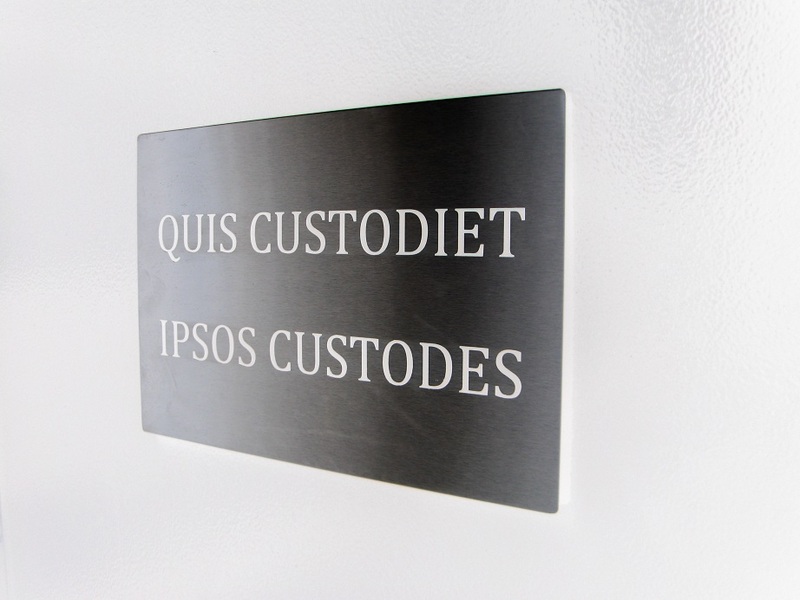 However, many of the crass opinions which cultism continues to attract are completely predictable, because, even as adults, we all instinctively want to shut out of our minds any information that disturbs our habitual model of the world. Sadly, anyone who searches for the truth about cultism, and who then speaks plainly, is forced to ask a lot of people to think the unthinkable; so I make no apologies for this. Another man started to read the booklet and decided that it contained ‘intemperate language.’ He felt sure that it was ‘going to be a sermon’ in which I would ‘attempt to impose ideas of morality’ on him. That opinion made me go back to my original text and remove any suggestion of preaching, because that’s the last thing I want to do. I don’t pretend to be perfect, and I fully recognise that morality is only what is generally regarded as an acceptable standard of behaviour by whatever culture we live in. I tried to base my investigation of cultism on quantifiable evidence, and my analysis on rules made by democratic institutions defining what is criminal, and/or unethical. I didn’t invent this evidence or write these rules, but I couldn’t escape the fact that cultism involves the subversion of traditional codes of morality. Like my wise Czech acquaintance, I have had the dubious privilege of witnessing for myself how unsuspecting individuals can be tricked into entering a counterfeit culture in which their existing perceptions of right and wrong are overturned and then made absolute. As a result, I now accept that apparently rational persons can suddenly abandon all reason and allow themselves to be systematically abused, exploited and even slaughtered whilst participating in the systematic abuse, exploitation and slaughter of others. In short, I am describing how it is possible to enslave any human being, but without the use of chains. This, in itself, is an ego-destroying reality which, self-evidently, many onlookers will wish to deny. However, when this reality is faced, at first it can become impossible to find appropriate words (other than expletives) to describe the results of cultism. Even presiding judges, in related cases, have felt it necessary to deliver verdicts using emotive terms such as ‘evil,’ ‘sinister,’ ‘depraved,’ ‘obnoxious,’ etc., to express publicly their own private outrage. Unfortunately, many other well-intentioned people have been, and continue to be, completely fooled by the seductive words and images shielding the instigators of cultism. The great paradox of the phenomenon is that persons under cultic influence will steadfastly claim to be absolutely righteous, even when all the quantifiable evidence proves their behaviour to be (at best) misguided, or (at worst) downright evil. Although they are demonstrably dissociated from external reality, cult adherents are always certain that they alone represent the ‘truth’ and they act accordingly. In this booklet, I have tried to demystify cultism by using an accurate, deconstructed vocabulary to describe the phenomenon. As a result of my own extensive investigation, I am entirely satisfied that all groups exhibiting the essential characteristics given previously, are manifestations of the same problem. The historical evidence has led me to the inescapable conclusion that the only real differences between cults are the exact motives and mental state of their leaders, and the length of time they survive before they face a well-informed and determined challenge.